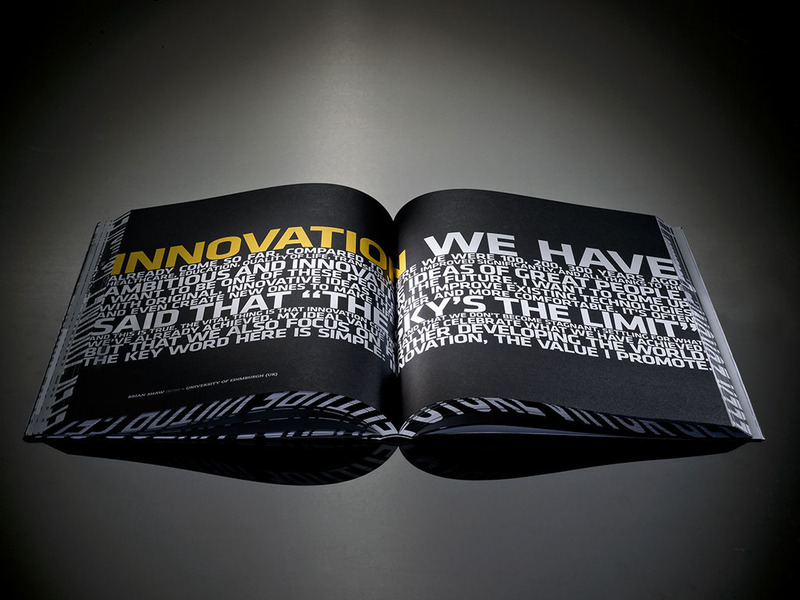 Pirelli had the innovative idea of enriching its annual report with a story to complement the figures. 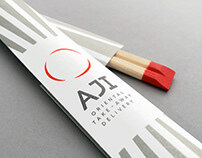 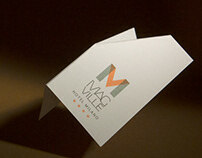 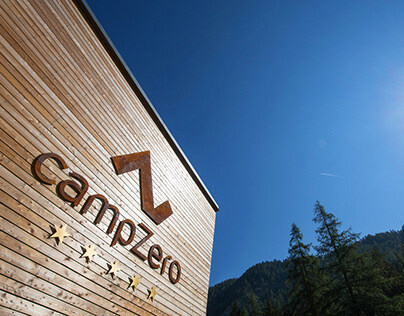 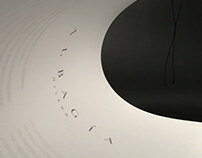 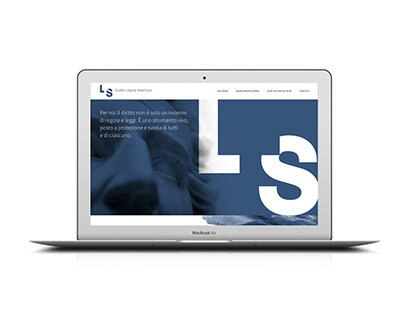 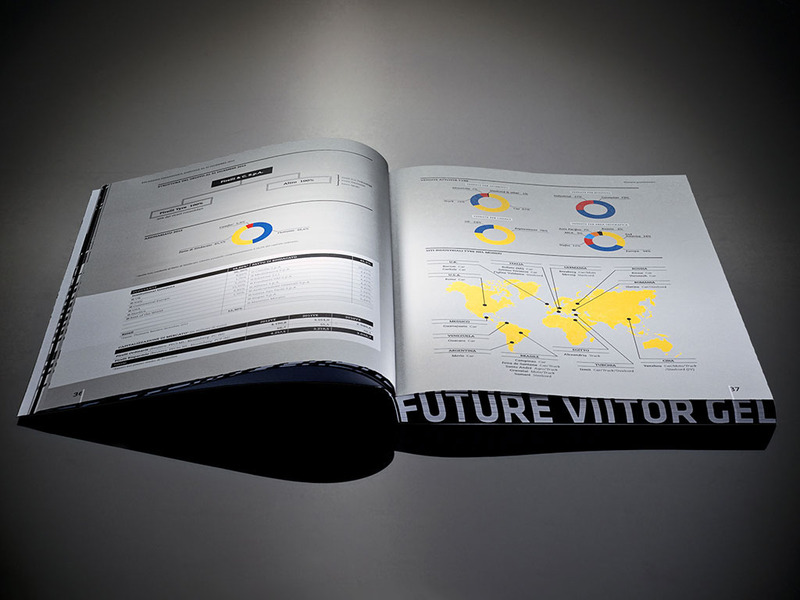 Cacao Design responded with a design that brings out the numbers while telling the story of the 2012 financial year. 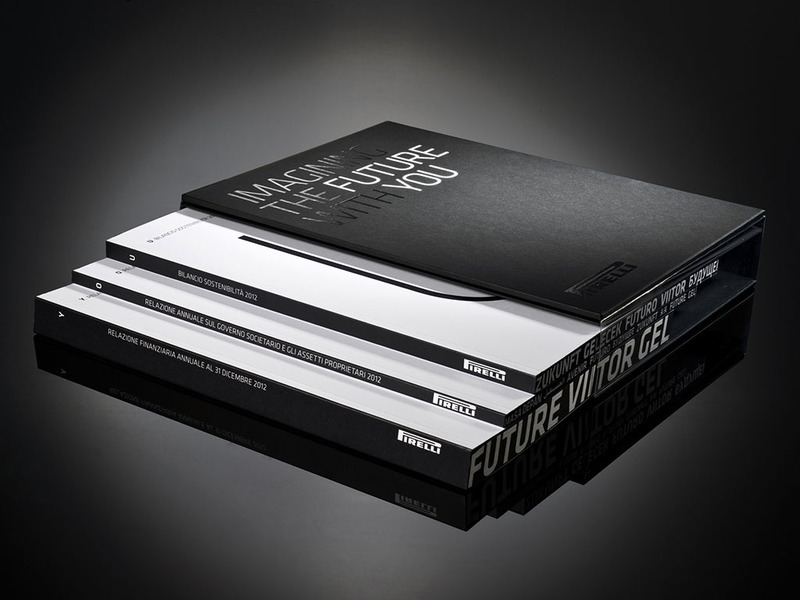 It’s a story about the future, “written” by young university students from around the world. 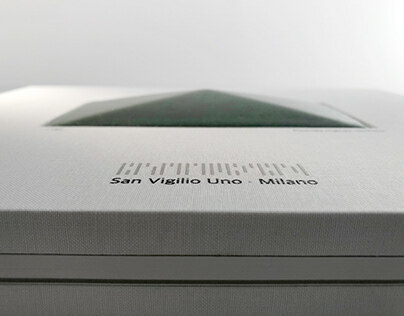 To give structure to their vision, Cacao created a “container” for a wealth of content, images and values. 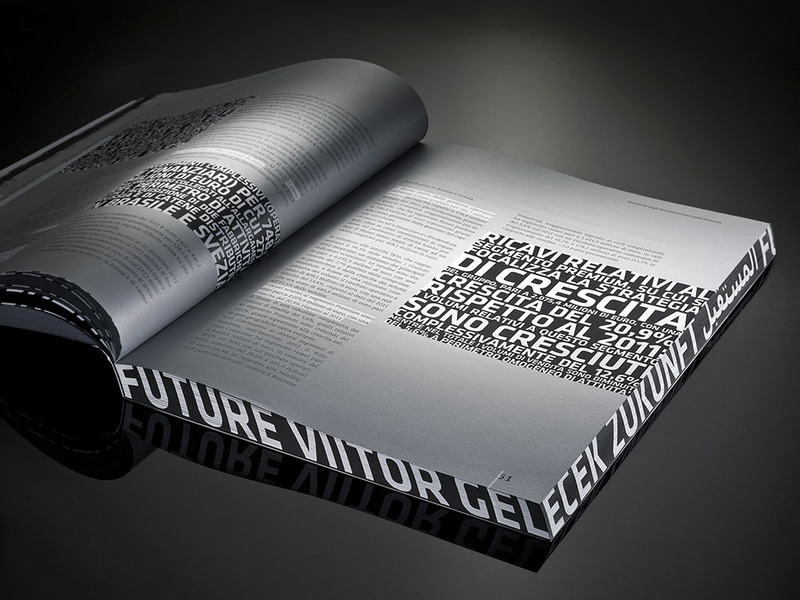 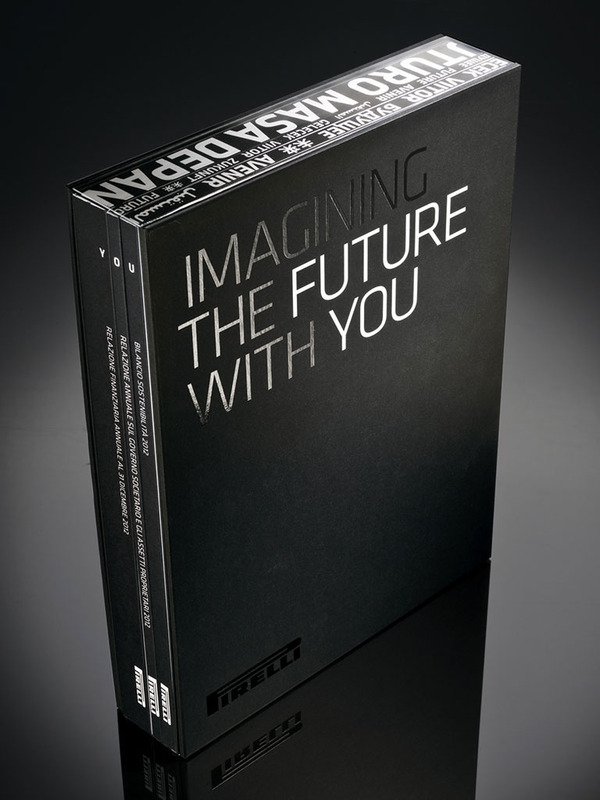 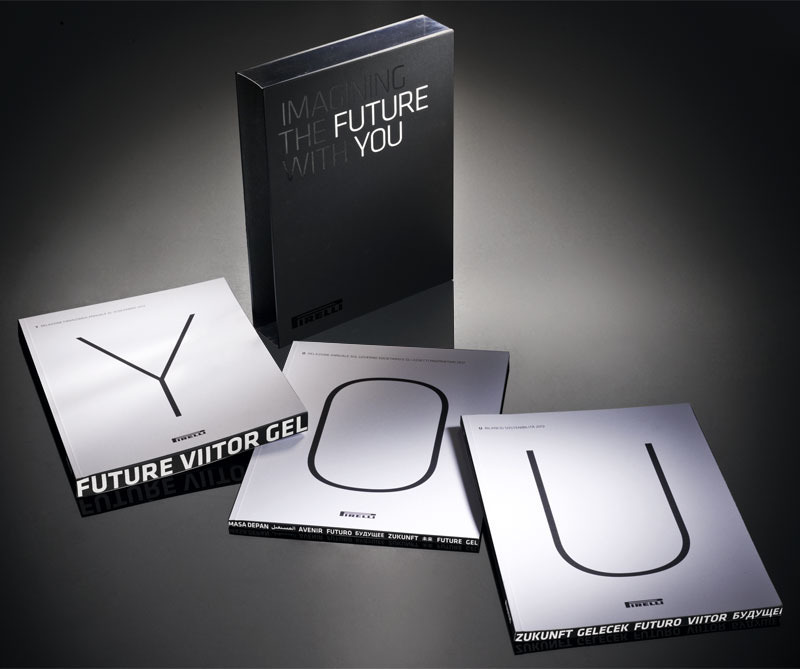 The binder’s transparent sides highlight the project’s key word, the “future” desired by the students, printed on three sides of each volume in the world’s main languages. 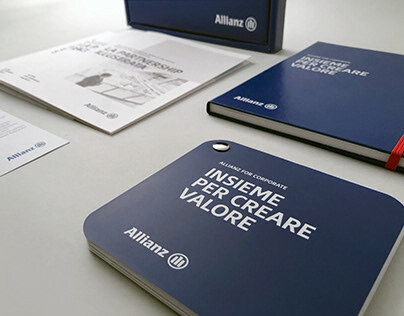 Printed by Grafiche Antiga on Fedrigoni Arcoprint E.W. paper. 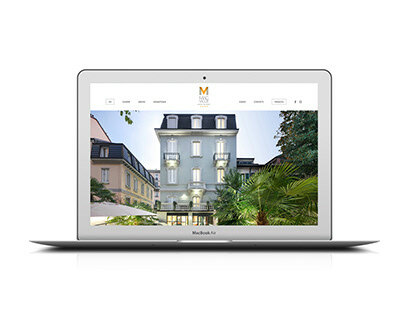 Images of the printed Annual Report by Ph Stefano Campo Antico.